The Turkish journalist Yusuf Inan’s forced return from Ukraine to Turkey is worrisome, Sergei Tomilenko, the chairman of the National Union of Journalists of Ukraine (NSJU) said Wednesday. 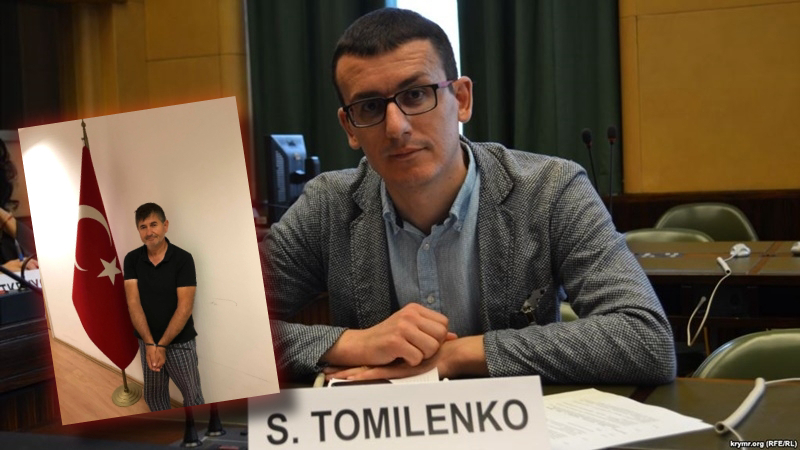 “For international partners of the NSJU, in particular the International and European federations of journalists, it is of fundamental importance for the Ukrainian authorities to respect the rights of opposition foreign journalists,” Tomilenko wrote on his Facebook account. Yusuf Inan, the Editor-in-chief of online news outlet News2023.com and the former Editor-in-chief of the Yerel Gündem newspaper, was detained by Ukrainian authorities in Mykolayiv and extradited to Turkey, on July 12. Inan is wanted on accusation of membership to the Gulen movement which the Turkish government accuses of being behind the July 15, 2016 failed coup, a claim the group denies. Following Inan’s deportation, local media revealed that Turkey asks Ukraine to deport 5 other suspected followers of the movement, among them a journalist. More than 150,000 people have been detained and 90,000 were remanded in prison over Gulen links in Turkey since the summer of 2016. Meanwhile, Erdogan called on foreign governments to punish Gulenists in their own countries. So far, a number of countries like Saudi Arabia, Malaysia, Georgia and Myanmar handed over academics, businessmen and school principals upon the Turkish government’s request despite the fact that some of those victims already had refugee status with the United Nations. According to Turkish government’s narrative, the Turkish national intelligence agency conducts such operations by itself in some countries and brings the suspects back without involvement of any other foreign law enforcement. Previously, two other Gulen followers, Isa Ozdemir and Salih Zeki Yigit, were brought back from from Azerbaijan and Ukraine in a MIT operation.